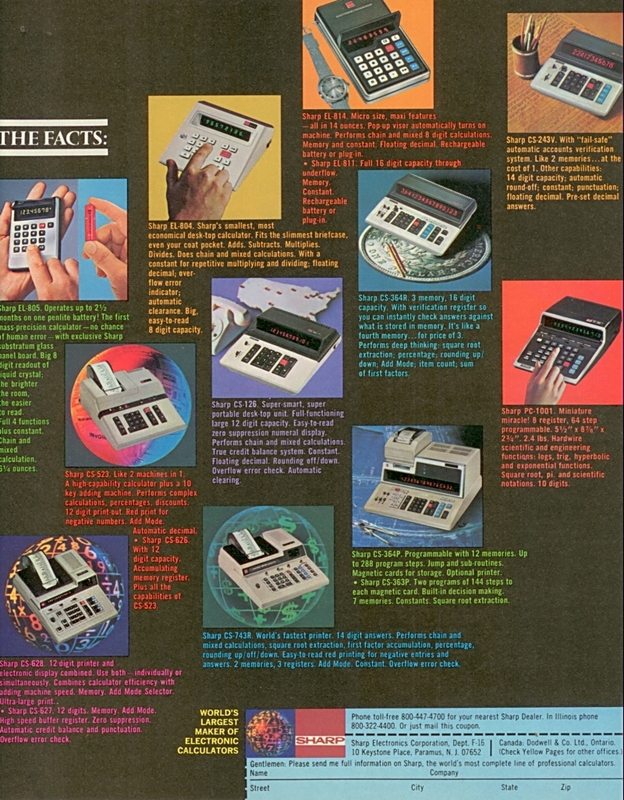 Advertisement showing partial line of Sharp calculators from 1973 timeframe. Includes the Sharp EL-804, Sharp Compet 364R, Sharp PC-1001, and Sharp Compet 363P among others. To view document in detail, click on image (PDF-5.0M).